Bring a cool and classy styling to your bedroom with the Jocelyn Chest of Drawers. Designed with clean lines, it has a contemporary look and feel that is upscale yet relaxed. There are five drawers for tucking away clothing and apparel items like shirts, pants, blouses, and more. The top drawer features horizontal paneling to add visual depth and dimension, and each drawer features a single silver tone hardware pull. 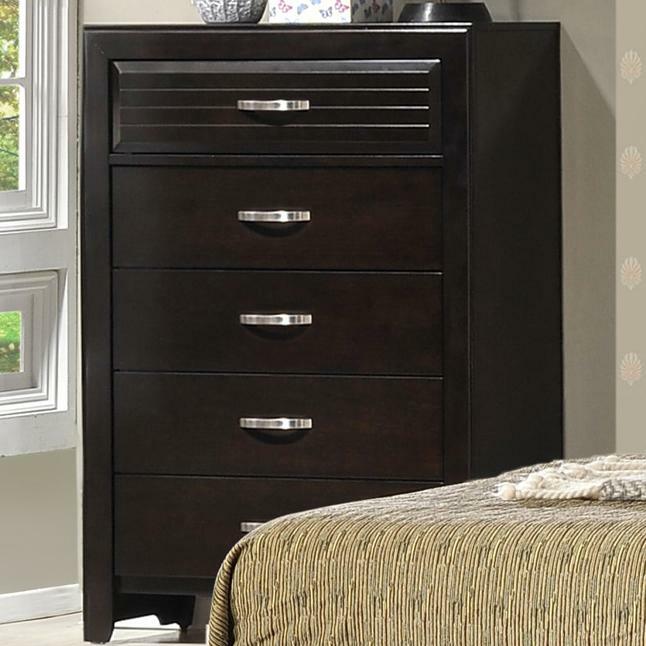 Bring this beautifully- styled Chest of Drawers into your master bedroom for a classy storage piece to add to your home. The Jocelyn Tall 5 Drawer Chest with Panel Top Drawer by CM at Michael's Furniture Warehouse in the San Fernando & Los Angeles area. Product availability may vary. Contact us for the most current availability on this product. Bring a cool and classy styling to your bedroom with the Jocelyn Collection. Designed with a contemporary look and feel, it offers an upscale yet relaxed ambiance. Featuring every essential bedroom piece, Jocelyn makes it easy to outfit your master retreat so it is convenient and cozy. Woodwork features a deep espresso finish while silver color hardware pulls bring a pretty accent. Sultry and sophisticated, discover the Jocelyn Collection and complete your master retreat. The Jocelyn collection is a great option if you are looking for Transitional furniture in the San Fernando & Los Angeles area. 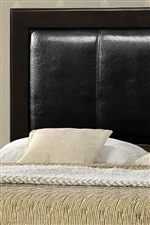 Browse other items in the Jocelyn collection from Michael's Furniture Warehouse in the San Fernando & Los Angeles area.